I received this from Abrams and Chronicle / Amulet in exchange for an honest review. As always, my reviews are fair and non-bias. It’s 5:00 a.m. on Fifth Avenue, and 16-year-old Gemma Beasley is standing in front of Tiffany & Co. wearing the perfect black dress with her coffee in hand—just like Holly Golightly. As the cofounder of a successful Tumblr blog—Oh Yeah Audrey!—devoted to all things Audrey Hepburn, Gemma has traveled to New York in order to meet up with her fellow bloggers for the first time. She has meticulously planned out a 24-hour adventure in homage to Breakfast at Tiffany’s; however, her plans are derailed when a glamorous boy sweeps in and offers her the New York experience she’s always dreamed of. Gemma soon learns who her true friends are and that, sometimes, no matter where you go, you just end up finding yourself.Filled with hip and sparkling prose, Oh Yeah, Audrey! is as much a story of friendship as it is a love letter to New York, Audrey Hepburn, and the character she made famous: Holly Golightly. Breakfast at Tiffany's is one of my favourite films of all time. I remember watching it with my Mum and loving it right away (the Cat scene was my favourite!). So when Abrams and Chronicle gave me the chance to read Oh Yeah, Audrey!, I was so excited to read all about Gemma's story as well as how Audrey fitted into the story. Gemma Beasley was standing on Fifth Avenue in New York City outside Tiffany & Co at 5am, wearing the iconic black dress, holding coffee and feeling like Holly Golightly herself. But it's not just a simple story of a girl who loved Audrey Hepburn - Oh Yeah, Audrey! was Gemma's life. After her family were struck with a loss, Gemma threw herself into her Tumblr page, filled with all things Audrey Hepburn, and called it Oh Yeah, Audrey! She was devoted to it 100% and there wasn't a day that she didn't post something on the page. She wasn't running away, per say, by going to New York without her father's permission. She was merely being the Gemma that she wanted to be - not just the one she pretended to be. 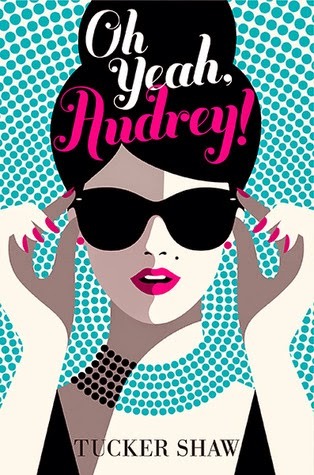 In New York, she's ready to meet fellow Audrey and Holly Golightly fans from Oh Yeah, Audrey! A boy called Bryan; from what Gemma knows, he's on the rich side, from California. And not forgetting Trina, who was one of my favourite characters by far. Her charismatic and unique characteristics and personality almost stole the spotlight from Gemma herself. Together, the three of them set off on a planned-down-to-the-small-details plan while they're in the Big Apple, revolving around all things Audrey. But more than one familiar face appears on their journey, and one of them really takes Gemma by surprise. The guy who she might just really like. The one who could sweep her off her feet in a heartbeat. Oh Yeah, Audrey! isn't just about Gemma's journey. It's about an unbreakable friendship that defies the "meeting people from online can't be classed as real friends" theory. It's about love, heartbreak, glamour and of course, Audrey Hepburn. 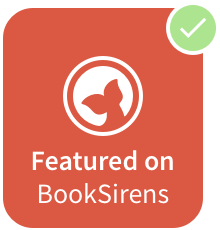 It felt like more than just a book to me, too - like a beautiful, enthralling and magical tale set in the awe and dazzling backdrop of New York City. I can't recommend Oh Yeah, Audrey! highly enough to anyone who has ever wanted that little bit more "spark" in their YA literature. And to quote my favourite word from the novel, Oh Yeah, Audrey! was incredible, dahling. Part 3 of the novel was by far my favourite! There are countless quotes by Bryan that were flawlessly written that made it into my favourites, too. Have you read Oh Yeah, Audrey! ?